Happy 90th Birthday Ray Harryhausen! 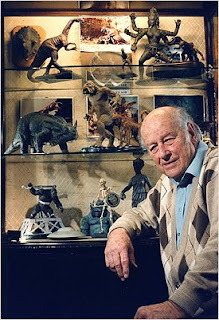 The films of special effects master Ray Harryhausen had a gigantic influence on me when I was a kid. 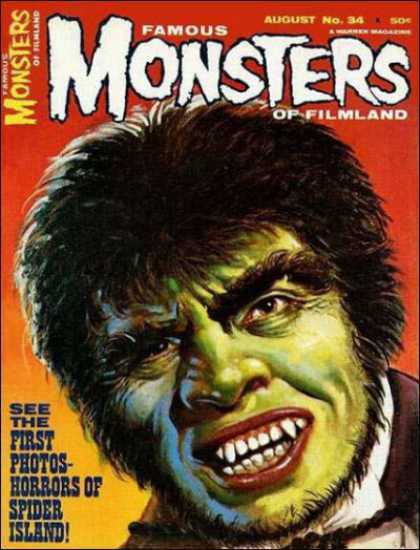 I carefully searched the television listings in our local newspapers every day in anticipation for one of his amazing movies. Each of them held me spellbound. Ray's One Million Years B.C., in particular, with its startlingly realistic and charismatic dinosaurs, affected me so intensely at the age of ten that I began to pursue a serious life-long passion for paleontology which continues to this day. The books of two of my favorite authors, Jules Verne and H.G. 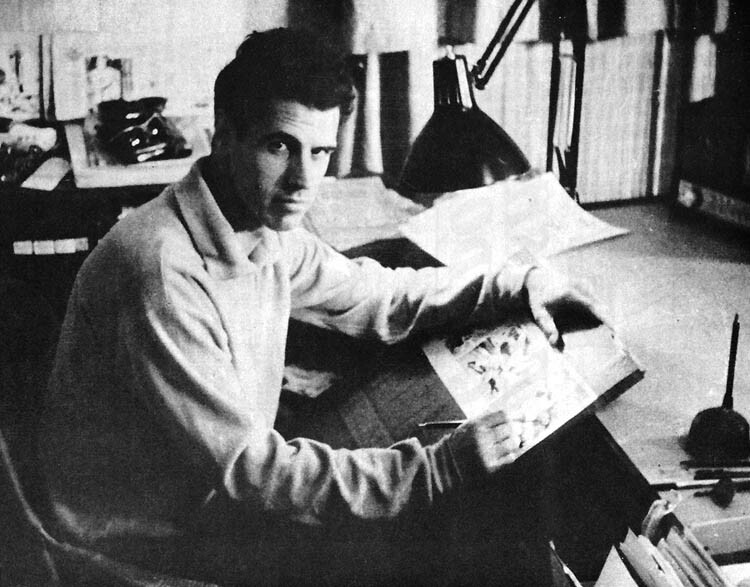 Wells, and the adventures of classical mythology, were all brought to epic life by Ray's magic touch. 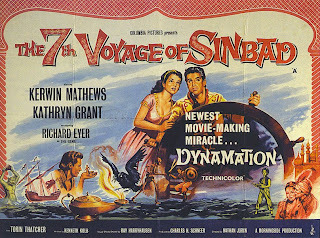 Although I believe It Came from Beneath the Sea was the first Harryhausen production I ever saw (which forever fascinated me with the octopus), it was The 7th Voyage of Sinbad that sealed the deal for good. 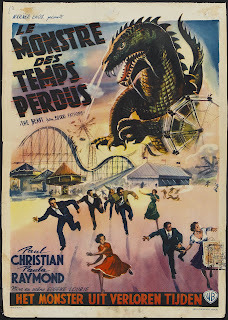 The Snake Woman, giant two-Headed Roc, a monstrous fire-breathing Dragon, and the horned, satyr-like Cyclops completely captured my imagination. The wholly original Cyclops of that film remains my favorite Harryhausen creature. I drew pictures of him over and over again in my meager attempt to relive the movie in the days before home-video and dvds. 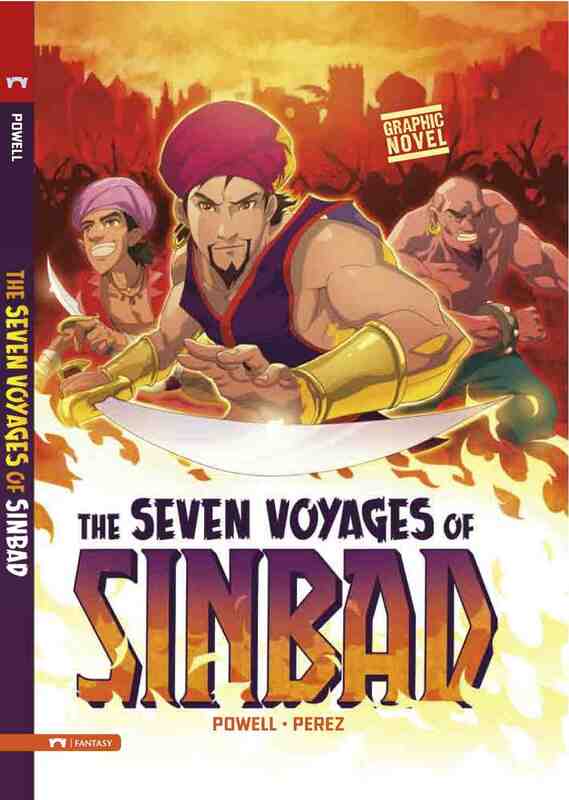 Later this year, my own The Seven Voyages of Sinbad will be published. Although the book is based more exactly upon the original tales of the Arabian Nights, there is much inspiration from Maestro Harryhausen lurking in its colorful pages. Don't know where I'd be without you. 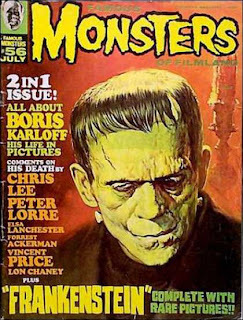 I just learned that Famous Monsters of Filmland # 250 made its successful debut at this past weekend's Monster Bash 2010, in Butler, Pennsylvania! 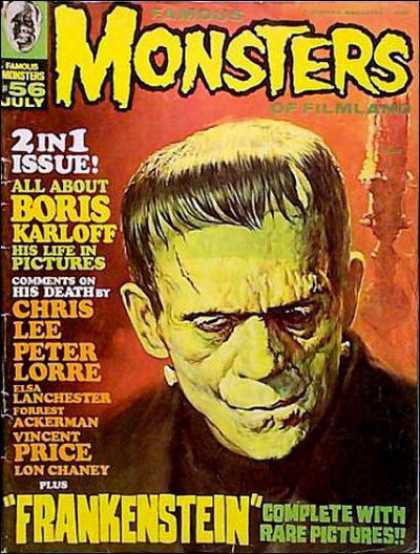 In the words of Michael Heisler, the new Editor-in-Chief, "FM #250 is alive and well and selling like hotcakes." 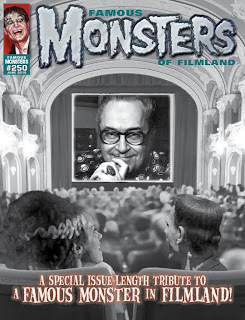 Pre-orders on the special Forrest J Ackerman tribute issue are shipping this week. I have two stories featured in the legendary magazine, and I don't think I've ever been this anxiously excited to see my words in print. 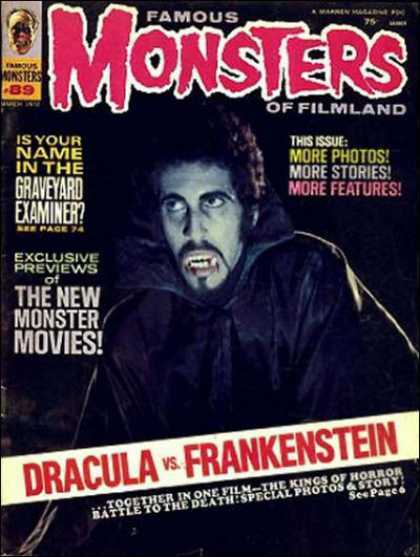 I was a sick little kid, with a scorching sore throat and a raging fever, the very first time I saw a copy of Famous Monsters of Filmland. I'll never forget that. Mom and I had just left the doctor's office to fill my prescription at the drugstore next door and, after sipping a soothing fountain Coke at the counter, she patiently waited while I perused the comic book rack. Suddenly, I saw it. Famous Monsters of Filmland # 34, with the gloriously green face of Mr. Hyde leering lecherously at me from the lower magazine shelves. It genuinely felt as if I was dreaming. In fact, the whole episode still feels very dream-like in my memory. 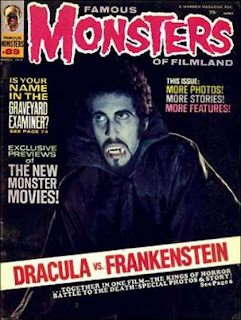 Mom bought the mag for me that day, and I've never been the same since. As I stated many times over the span of my two decades as a professional writer, Forry Ackerman was enormously influential to me and the career path I decided to take. It is extremely gratifying, and humbling, to finally appear as a featured writer in my life-long favorite magazine. I never dreamed that this could ever happen. 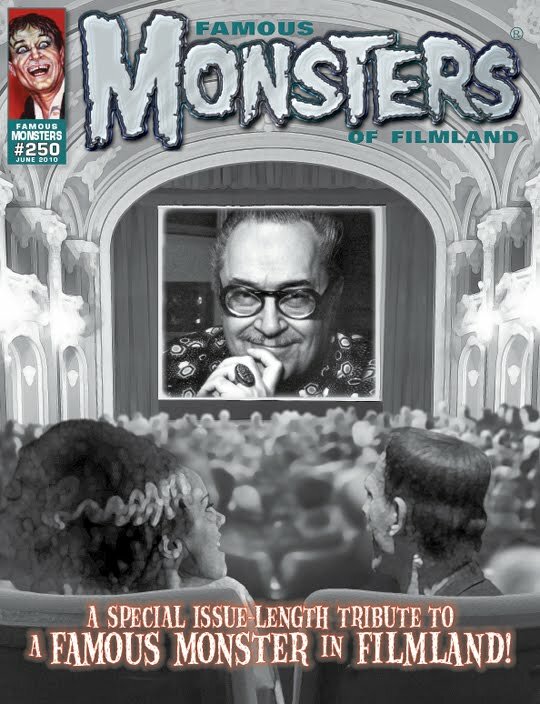 When editor Jessie Lilley called me up one quiet Sunday afternoon explaining to me that the historic FM # 250 was to be in honor of Forry, and that she needed writers, I literally felt the blood dance through my brain. Lisa can attest that I've been in a sort of giddy haze ever since. 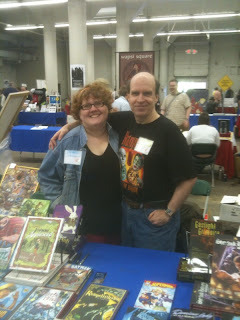 So special thanks to Jessie, Michael, Phil, and Forry's gentle ghost for bringing this writer full circle and making my wonderful dream come true. 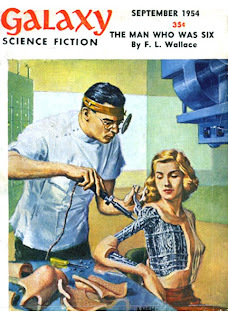 Galaxy Science Fiction by Ed Emshwiller. Lisa, the love of my life, had major surgery a year ago today. It was a very scary time, neither of us knowing how serious the results might be. I remember as Lisa was waking up from the operation we learned that Michael Jackson had died. That absolutely stunned both of us. This was a guy, seemingly ageless, brimming over with vitality, who had grown up right along with us. And for all his talent, power, and wealth--he was suddenly gone. 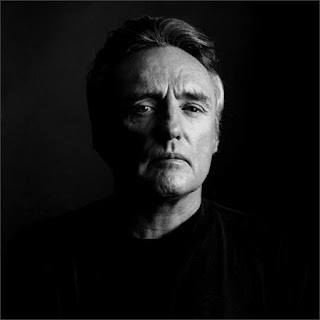 The whole fearful experience of that difficult time, particularly with neither of us yet knowing the complete facts of Lisa's illness, changed both of us, I think, for the better. Thankfully all was well, and she has made a strong, rapid recovery. Since then, Lisa and I have learned never to take life for granted, to strive to make the most of every aspect of it, and never to waste a moment. We should always celebrate our time on the planet, even--perhaps especially--during the the tough times. It's surely better to be, than not to be. I'm feeling exceptionally fortunate and grateful today. Shame on me if I ever allow myself to feel anything less. Dan Brereton New Cover Artist for THE SPIDER! That's right, Dan Brereton, creator of The Nocturnals, and many other amazing comics, is our new cover artist for The Spider! 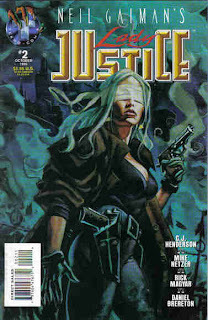 Dan Brereton's phenomenal artwork first caught my attention about fifteen years ago with his moody and dramatic cover paintings for Neil Gaiman's Lady Justice series. One of the main perks during my brief stint on the editorial staff at Tekno Comix was being among the first to see these paintings, which editor Christopher Mills ceremoniously unveiled each month for those of us in the office. It was always, without fail, a thrilling ritual. 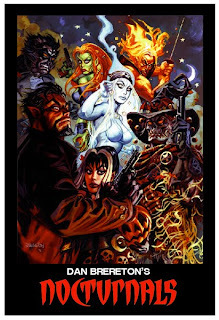 Around that same time, in the mid-1990s, Dan's masterwork, The Nocturnals, made their electrifying debut. Now it's no secret that I'm an enormous fan of this series. 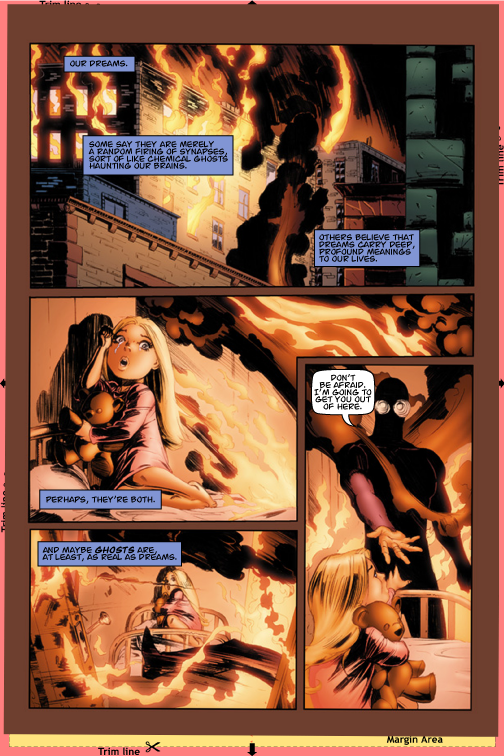 In fact, The Nocturnals are probably my most often recommended comics reading whenever friends and fans ask me what's good. 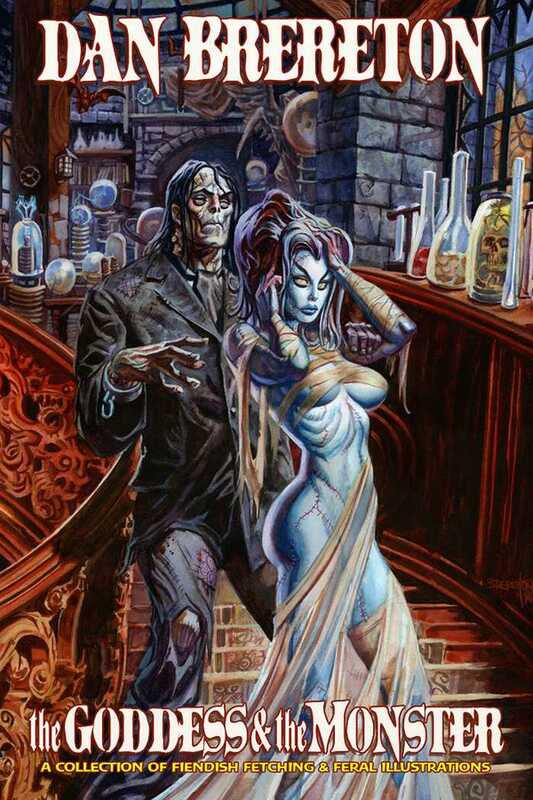 If any of you out there haven't yet discovered these terrifically written and gloriously painted comics, don't hesitate another moment...seek them out! 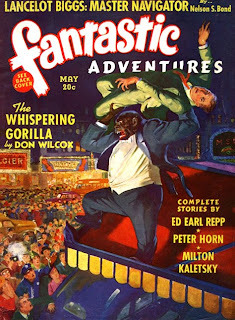 Even a quick perusal of Dan's work, writing, drawing, and painting, displays an ardent love of the pulps and the macabre. 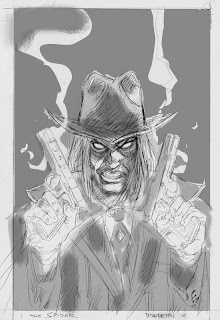 He graciously made a couple kind comments on Facebook regarding my upcoming Spider series, a character which Dan also loves, and I mustered the guts to ask him if he'd be interested in providing a cover or two. I am absolutely thrilled that he has enthusiastically agreed. 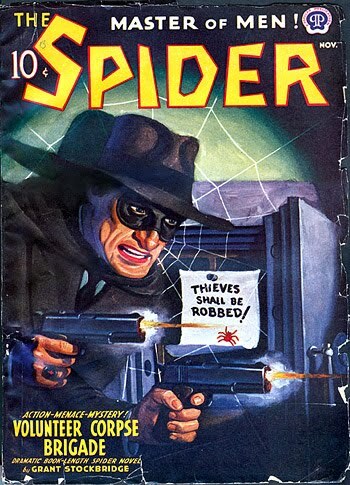 Happily, Dan has even told me that he'd like to paint as many covers for The Spider as possible, and he's off to a rousing start with several already planned. 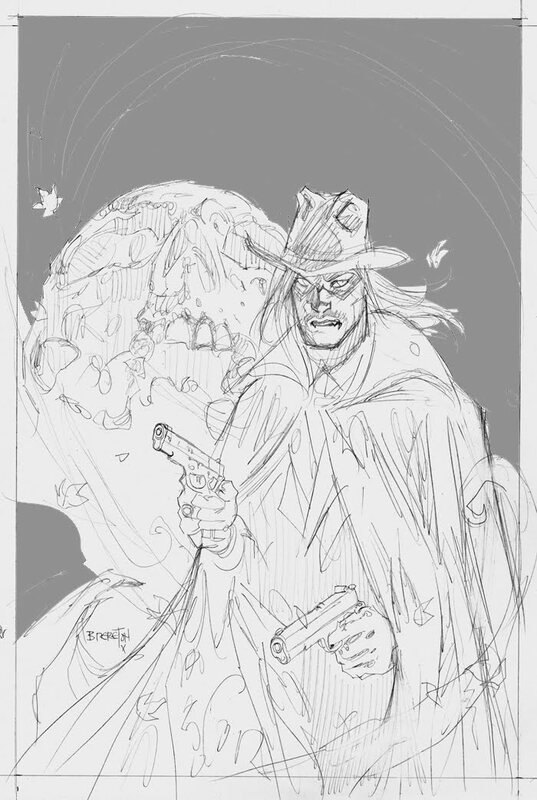 With his permission, I'm including a few preliminary cover sketches here. Even in these early stages I can already detect that Dan's iconic vision for The Spider will rapidly become the definitive vision of the character. Obviously, I'm very excited! 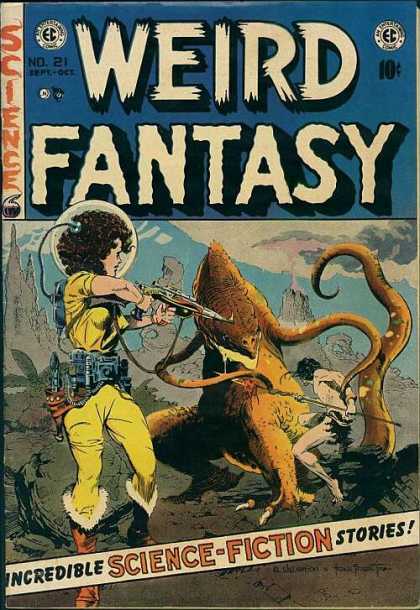 This news is about as cool as the modern pulps can get. Many thanks to Dustin Cabeal of Player Affinity for his very enthusiastic review of THE PHANTOM UNMASKED # 1, published by Moonstone. 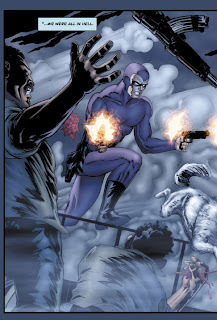 As I've mentioned before on this blog, The Phantom is my favorite comic book hero and it was a genuine thrill to get to write this mystery/adventure. 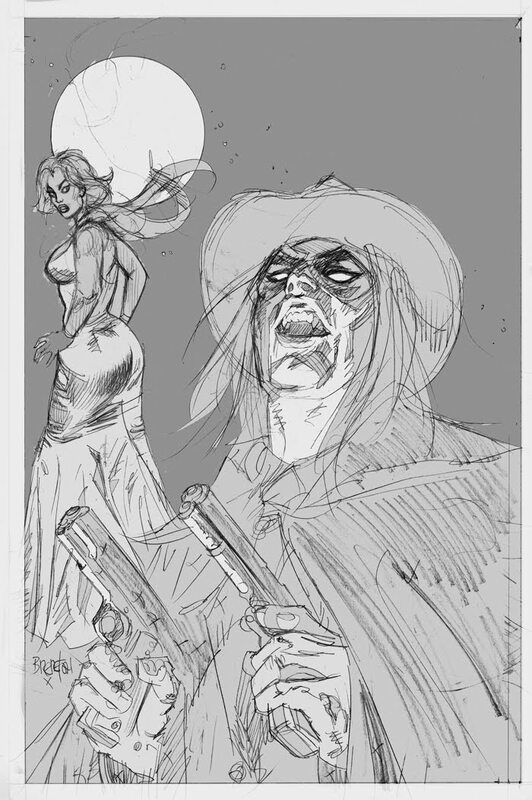 I don't think I've ever had such a fun time at the keyboard than when I was composing the story. Special appreciation again to Hannibal King, Franchesco, Tom Floyd, Andrew Dalhouse, Joe Gentile, and Lee Falk for making it all possible. 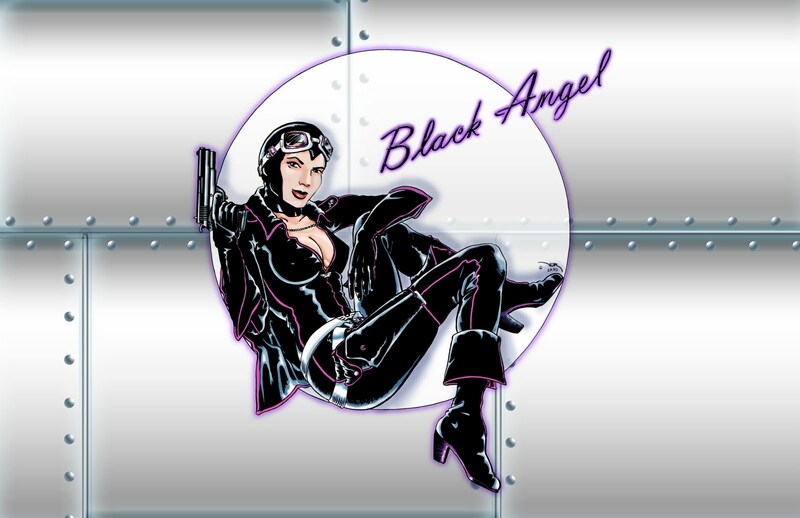 A new Black Angel promo by the masterful Ver Curtiss. 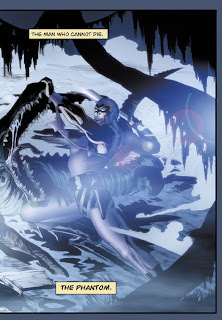 She is returning soon in AIRFIGHTERS # 2, illustrated by Ver and written by me. Published by Moonstone. THE PHANTOM UNMASKED # 1 Selling Out! 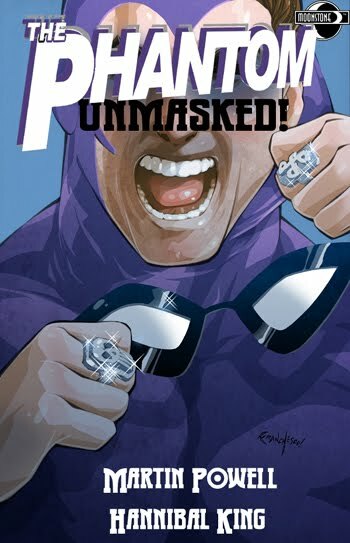 I visited The Source, my local comic book shop here in Saint Paul, last evening and was surprised--and absolutely thrilled--that their sizable stack of my THE PHANTOM UNMASKED first issue had very nearly sold out! A quick check with a few other surrounding shops gave me similar, very welcome news. This was a very happy day for me, finally getting to write, and have published, an adventure of my favorite costumed comics hero. I've been dreaming of this moment since I was five years old. 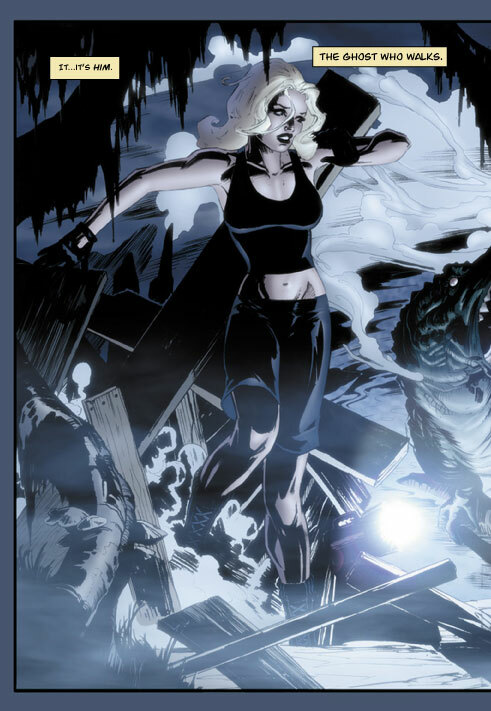 Very special thanks to everyone who has purchased the issue, and for Hannibal King, Tom Floyd, and Franchesco for making me look so good! Couldn't have done it without you! 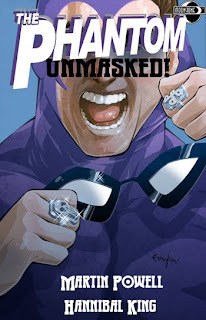 THE PHANTOM UNMASKED # 1 On Sale! 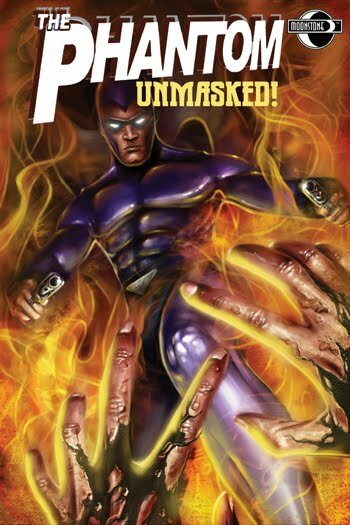 The first issue of my two-part mini-series THE PHANTOM UNMASKED is on sale tomorrow (June 16th) at a comic book shop near you! 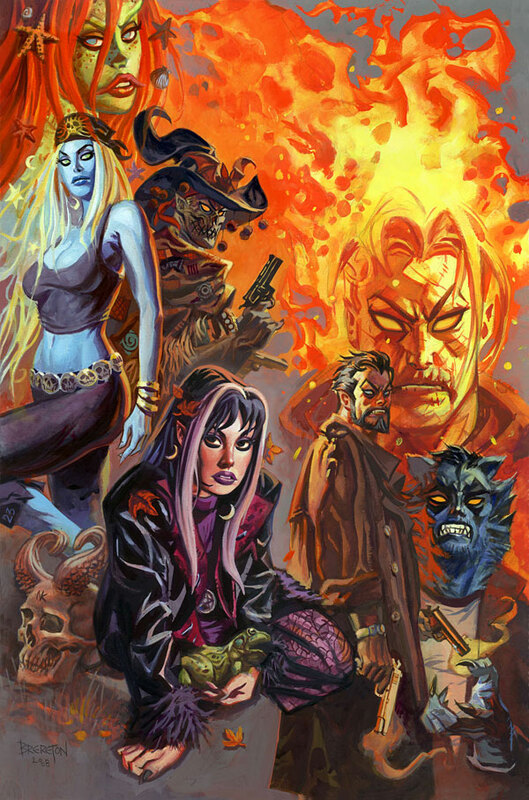 The amazing art is by Hannibal King, lettering by my multi-talented pal, Tom Floyd, and the cover is from the fabulous Franchesco. The mini-series is published by Moonstone. 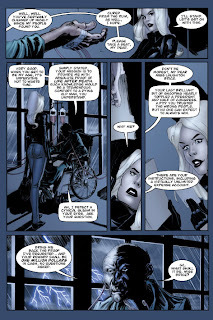 Although I've written The Phantom in prose form a couple times, there was something magical about scripting the character in his natural comics format. I was slightly afraid of something akin to stage-fright as I began the tale, or at least I expected to get a mild case of the jitters. Surprisingly nothing nearly so dramatic happened. It was a distinct thrill, to be sure, when I first typed the words "The Deep Woods", but fortunately the story flowed. Even so, only when writing Superman, Batman, and Sherlock Holmes have I felt such sheer weight from a fictional character and his mythology. I suspect that this one has been wanting to escape my subconscious for a very long time. 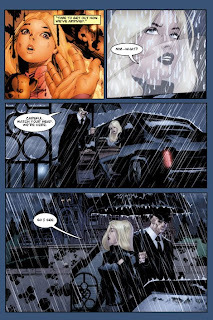 In all my twenty-four years as a professional writer, working in the comics industry, this is one of my all-time favorite projects. My older brothers first introduced me to The Phantom when I was about five years old and he fascinated me immediately, never letting go. It was an honor and a privilege getting to work with Lee Falk's immortal Ghost Who Walks. He is my favorite comic book costumed hero. 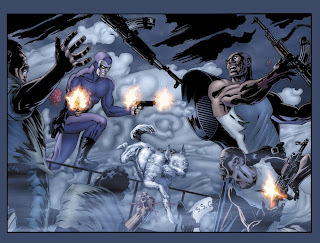 Special thanks to publisher Joe Gentile, who invited me, to Hannibal King, for rendering one of the most beautiful-looking Phantom stories ever, and to ever-loyal friend Tom Floyd, who once again came to my rescue. 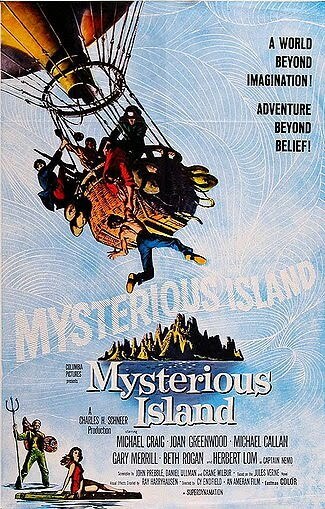 And to the late, great Lee Falk, for creating the Man Who Cannot Die. The Spider magazine by Rafael Desoto. 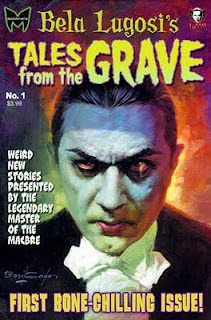 Publicity for BELA LUGOSI's TALES FROM THE GRAVE from Britain! 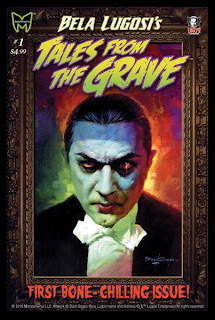 Tonight I finished scripting the dialog for my horror story in BELA LUGOSI's TALES FROM THE GRAVE, coming this Fall from Monsterverse. The tale, "Museum of Madness" is illustrated by my long-time friend, and fellow Lugosi fan, Terry Beatty. 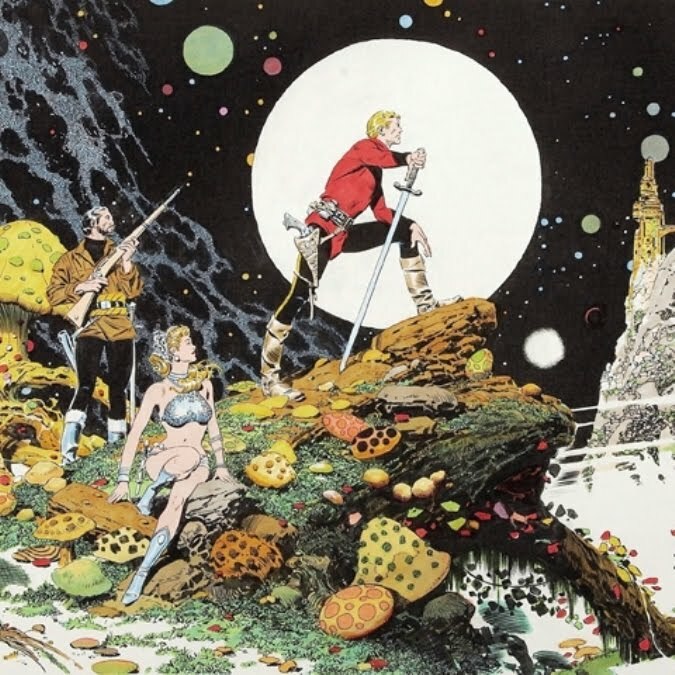 Besides being an all-around great guy, Terry has always been one of my very favorite artists. It was a thrill to finally get the chance to work together, especially something so near and dear to our hearts. It was great fun writing dialog for Bela Lugosi; I could hear his distinctive voice echoing my words in the back of my brain. 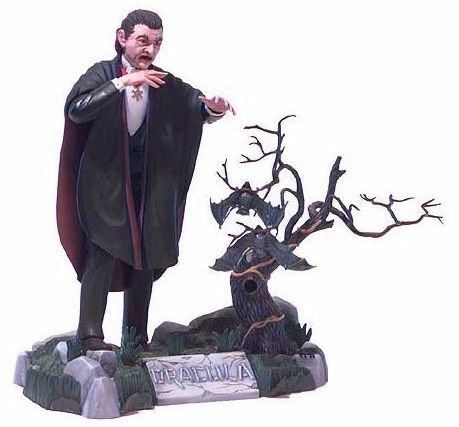 Bela and I go way back, into my childhood when I was five or six years old, when he first frightened me in Return of the Vampire. Shortly afterward I received the Aurora Dracula plastic model kit for a birthday present, and I was a fan for life. Very special thanks for the cooperation of Bela Lugosi, Jr. and to publisher/creators Kerry Gammill and Kez Wilson for making all of this possible. It has truly been one of my very favorite projects ever, as a writer. Stay tuned for a preview! 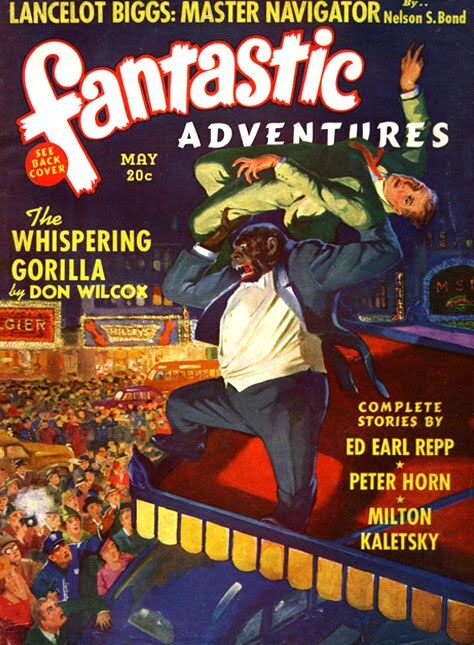 Fantastic Adventures magazine by Stockton Mulford. Join writers Will Murray, Shannon Eric Denton, Aaron Shaps, Mike Bullock, and I for a lively discussion of Moonstone's epic new pulp hero launch.